Translational research with stem cells in cystic fibrosis. Dr. J.M. 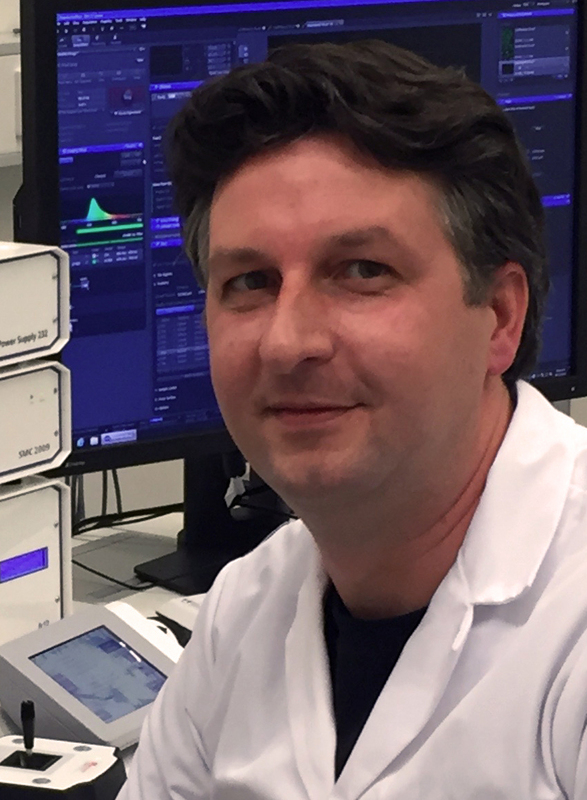 Beekman (H-index 18) is associate professor and affiliated with the department of Pediatric Pulmonology and the Regenerative Medicine Center Utrecht. He leads a research group that develops stem cell based culture and assay technology to model human pulmonary disease, and currently mostly focusses on (personalized) treatment of cystic fibrosis. He has been trained in molecular and cellular biology within an immunological context, and became principle investigator in 2010. He received various prizes including the 2017 European CF society award, the 2017 European Respiratory Society Excellence Award for research in Cystic Fibrosis, and the 2017 ‘Willy van Heumen’ prize for alternatives to animal experiments. He was invited speaker at approximately 40 (international) meetings over the last years. People with cystic fibrosis living healthy lives. I strive to create breakthroughs for people with cystic fibrosis by developing novel diagnostic or therapeutic approaches. This requires the alignment of basic and clinical research, and integration of research with needs of patients, the private sector and regulatory authorities. We use intestinal stem cell organoids and other primary airway stem cell culture models to predict and understand the individual impact of new CFTR modulating drugs. Close collaborations with the clinical CF center of the UMCU and the Dutch CF patient foundation ensures that we continuously strive to translate our research findings towards clinical applications. Currently, I am particularly proud of leading a team effort that led to personalized treatment of CF within 4 years after the initial discovery. 2015 – 2018 ZonMW TOP 40-00812-98-14103: Cure for a genetic disease? Targeting the right drug to the right patient using intestinal stem cell cultures in Cystic Fibrosis. Goal: To develop a predictive model for individual therapy using intestinal organoids and define mechanisms of optimal compound combinations for CFTR repair. 2015 – 2017 European H2020 program (SEP-210176765): Clinical proof of concept for a RNA-targeting Oligonucleotide for a Cystic Fibrosis-F508del medication. 2014 – 2016 ZonMW 40-41200-98-9216 Personalizing B2-adrenergic receptor agonist therapy for people with CF using in vitro cultures of intestinal organoids. 2014 – 2016 ZonMW 40-41200-98-9227 CFTR repair by genistein, curcumin and VX-770 (Ivacaftor) in cystic fibrosis patients carrying the S1251N channel gating mutation. Characterizing responses to CFTR-modulating drugs using rectal organoids derived from subjects with cystic fibrosis. Johanna F. Dekkers, Gitte Berkers, Evelien Kruisselbrink, Annelotte Vonk, Hugo R. de Jonge, Hettie M. Janssens, Inez Bronsveld, Eduard A. van de Graaf, Edward E. S. Nieuwenhuis, Roderick H. J. Houwen, Frank P. Vleggaar, Johanna C. Escher, Yolanda B. de Rijke, Christof J. Majoor, Harry G. M. Heijerman, Karin M. de Winter-de Groot, Hans Clevers, Cornelis K. van der Ent and Jeffrey M. Beekman. Science Translational Medicine 2016, 8 (344), 344ra84. Optimal correction of distinct CFTR folding mutants in rectal cystic fibrosis organoids. Johanna F. Dekkers, Ricardo A. Gogorza Gondra, Evelien Kruisselbrink, Annelotte M. Vonk, Hettie M. Janssens, Karin M. de Winter-de Groot, Cornelis K. van der Ent, Jeffrey M. Beekman. European Respiratory Journal 2016 Apr 21. doi: 10.1183/13993003.01192-2015. Functional Repair of CFTR by CRISPR/Cas9 in Intestinal Stem Cell Organoids of Cystic Fibrosis Patients. Schwank G, Koo BK, Sasselli V, Dekkers JF, Heo I, Demircan T, Sasaki N, Boymans S, Cuppen E, van der Ent CK, Nieuwenhuis EE, Beekman JM, Clevers H. Cell Stem Cell. 2013 Dec 5;13(6):653-8. Internal box: 4th floor, North, green area.